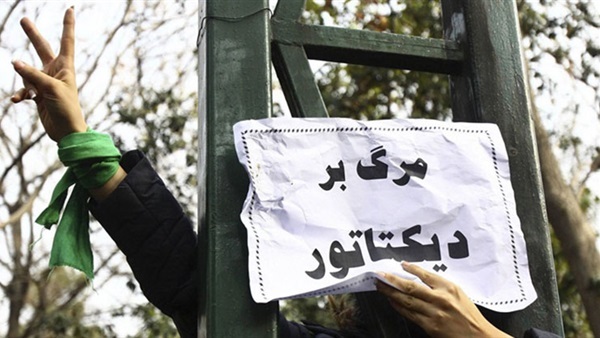 The Iranian government arrested, imprisoned or executed at least 860 journalists between 1979 and 2009, according to documents leaked to media monitoring group Reporters Without Borders (RSF). At a news conference in Paris, RSF said whistleblowers had passed on 1.7 million records detailing judicial proceedings against an array of citizens, including minorities, government opponents and journalists. "The very existence of this file and its millions of entries show not only the scale of the Iranian regime's mendacity for years when claiming that its jails were holding no political prisoners or journalists, but also the relentless machinations it used for 40 years to persecute men and women for their opinions or their reporting," he said. In its analysis, RSF also identified another journalist who was executed. Simon Farzami, a Swiss-Iranian of Jewish origin was bureau chief of French news agency Agence France-Presse when he was arrested in 1980. Iranian human rights lawyer Shirin Ebadi, recipient of the 2003 Nobel Peace Prize, and several other activists and journalists attended Thursday's conference in Paris.